IK was the first to bring the legendary tone of some of the most iconic bass amps and cabinets ever created to the modeling software world with our acclaimed official Ampeg SVX collection. The new Ampeg SVX 2 collection brings even more power to the game giving you the opportunity to expand your collection with 6 additional gear models that raise the bar once again in terms of unprecedented sonic authenticity. When it comes to an iconic brand like Ampeg to put their mark on the software equivalent of their timeless masterpieces, they could not have gone for anything less than the best in the virtual software world and as they pioneered the bass amplification world they choose IK Multimedia, the true pioneers of amps and effects modeling technology for modern players. Ampeg SVX 2 collection is based on IK’s latest exclusive Dynamic Interaction Modeling™ technology, which uniquely recreates the fine interactions of complete internal circuit stages of the original models, thus reproducing their unmistakable vibe and dynamics down to their finest nuances. 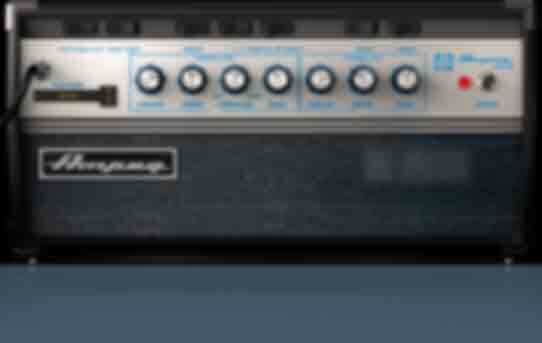 The Ampeg SVT-VR is a vintage reissue of an early 1970’s “Blue-Line” SVT head. The preamp stage, power section, and even rocker switches emulate the exact signal path, tone, and vibe of the original rock ’n’ roll workhorse. Authentic from its input jack all the way to its six 6550 output tubes, this is the exact recreation of the 70’s best rock bass amp. Regardless of the genre of music you play, the unmistakable tone of this arena-ready bass monster will give you all the growl you might ever need. It’s no surprise that players like Bootsy Collins, Tony Levin, Chris Squire, Pino Palladino and Bill Laswell, just to name a few, called upon it to deliver their unique sound. The Ampeg V-4B 100W All-Tube Bass Head is a remarkable reissue of the legendary 1971 original, delivering the pure tube vintage sound, attitude and unmistakable grind that earned this classic amp a place in bass history. The Heritage B-15N features distinct switchable 1964 and 1966 channels with Ampeg’s flexible Baxandall type bass and treble EQ controls along with selectable cathode bias (1964) or fixed bias (1966) modes providing the ultimate control over response and tone. 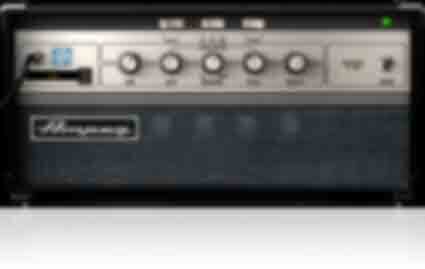 Built to exacting standards, the Heritage B-15N meticulously recreates the world’s most recorded bass tone. Powerful, tight and focused bass sound. This is the classic Ampeg stack that you see on stages worldwide. It's everything you love about "The Fridge" in a vintage-inspired look that is both powerful and timeless. The SVT-810AV Infinite Baffle™ design has stayed the same since 1969 and delivers that punchy, round sound that defines the iconic Ampeg tone. The Ampeg SVT-212AV bass enclosure delivers pure Ampeg tone in a ported cabinet design that bridges the gap between the fast transient response that cuts through mixes and the rich low end you aim for. The SVT-212AV features 2x12” custom Eminence® LF drivers and a 1” compression driver with a 3-way level control in a rugged cab with classic vintage Ampeg styling. Powerful, tight and focused bass sound. This is the classic Ampeg stack that you see on stages worldwide. It's everything you love about "The Fridge" in a vintage-inspired look that is both powerful and timeless. The SVT-810AV Infinite Baffle™ design has stayed the same since 1969 and delivers that punchy, round sound that defines the iconic Ampeg tone. Because Ampeg SVX 2 runs from within AmpliTube for Mac/PC, you get the full-rig signal path ready to use in your productions: tuner, pedalboards, amp head preamp, effects loop, power amp, speaker cabs, mics with room effects, rack effects. Plus, you can configure two complete rigs and run in stereo. 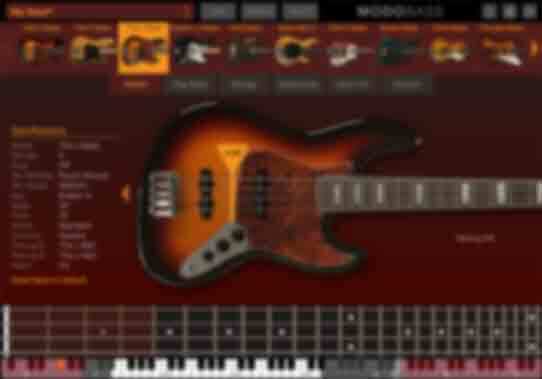 And of course, you can get creative, crafting your own truly custom sound with the over 300 pieces of gear available a-la-carte inside AmpliTube Custom Shop, the biggest selection of amp and effects for guitar and bass players available today in the software and plug-ins world. Boost your in-the-box productions with some serious tone. Go for the perfect match and unleash the full power of bass with Ampeg® SVX 2 and MODO BASS, our revolutionary physically modeled electric bass virtual instrument for Mac/PC. 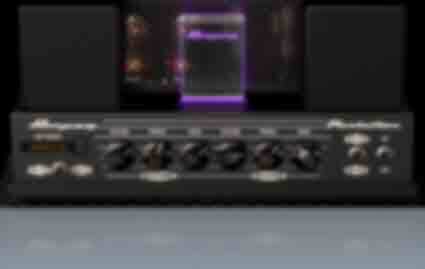 No other combination of native plug-ins gives you such an amount of power, versatility, playability and authenticity. Blend all the ingredients wisely and you will end up with bass tracks that rival the best players’ sounds without exception. You could even try the Ampeg SVX 2 on Syntronik’s Minimod or Bully analog virtual synths for Mac/PC for a full blown, crazy low-e crazy low-end extravaganza. However, be warned - as it can be quite addictive!